The Main Street Community Band performed a sunset concert at beautiful Lake Accotink to kick off the Braddock Nights concert series. 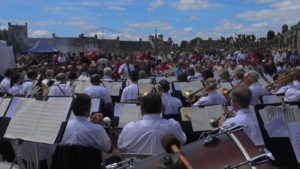 This summer, conductor Jeff Seffens brought some summer fun to the concert series, and to the musicians, by including a Beach Boys Medley, Pinball Wizard, and The Greatest Showman. Check out this article in The Connection. 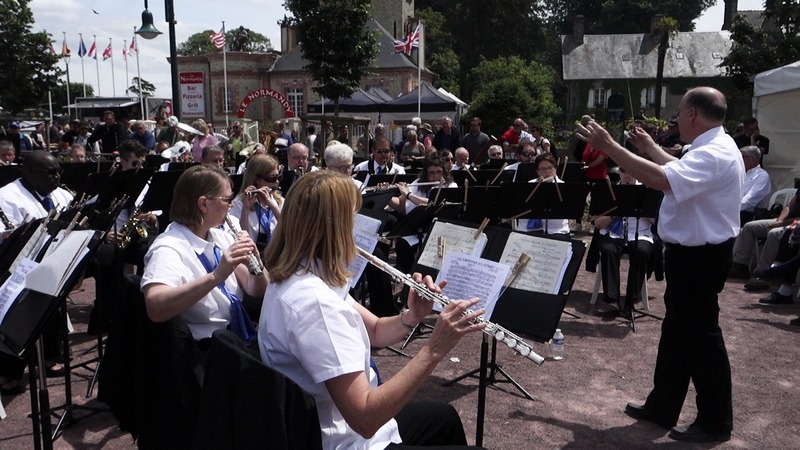 The City of Fairfax Band (CFB) visits France to perform in Normandy and Paris. 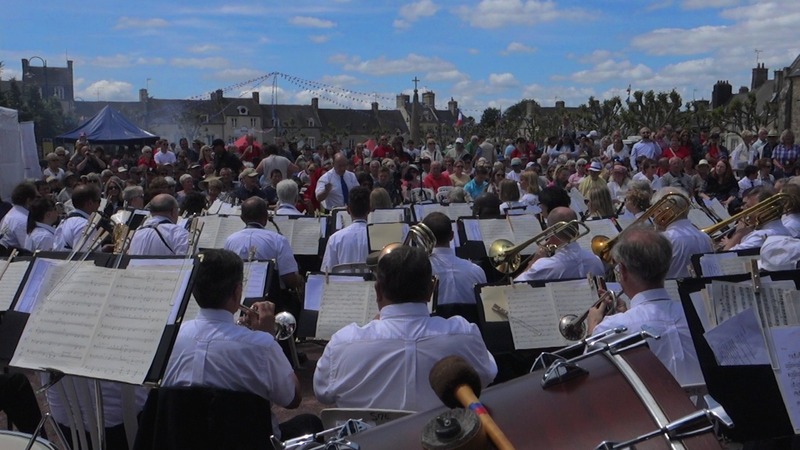 In Normandy, the band will provide the music for one of the year’s most significant observances of D-Day (June 6, 1944): the commemoration and wreath laying at the Normandy American Cemetery and Memorial, which overlooks historic Omaha Beach. 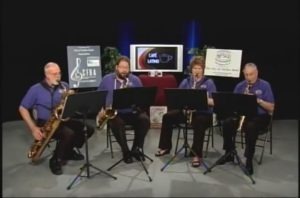 The City of Fairfax Band Association (CFBA) is the focus of a taping of the “Café Latino” program on Comcast Channel 28 in Reston. The program features a performance by the Fairfax Saxophone Quartet, a unit of the CFBA. 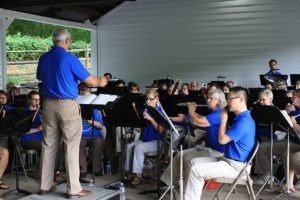 Also appearing are CFBA Music Director Robert Pouliot and Fairfax Council member Eleanor Schmidt, who also sits on the CFBA board.